The focal point of the primary survey is on early CPR and early defibrillation, but only if it is required. The primary focus is on breathing and airway issues for a patient in respiratory arrest. The initial step is to assess the patient and then followed by performing an appropriate action. Each step has an assessment and actions that needs to be followed. Look for the rise and fall of the patient’s chest to check if the patient is breathing. You have five to ten seconds to check for a pulse. When it becomes available, place the AED on the patient and make sure to follow the prompts. It is important to take note that small gasping breaths are not considered normal. 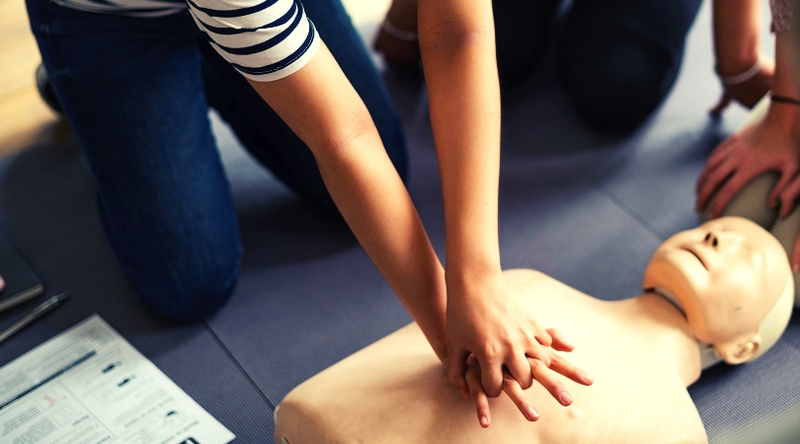 If the patient has no pulse or if you are not sure if a pulse is present, begin compressions at a rate of one hundred to one hundred twenty (100-120) per minute. If the pulse is present and the breathing is absent, initiate ventilation at a rate of 10 breaths per minute or once every 6 seconds through mouth-to-mouth or by using a bag valve mask. 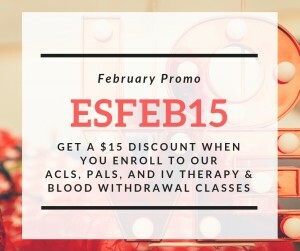 Here’s your discount code: ESFEB15 – Use it when you enroll to our ACLS, PALS, & IV Therapy and Blood Withdrawal class. The initial set of assessments follows the CAB format of the primary survey. If you suspect a cervical spine injury on the patient, you should utilize a jaw thrust to open the airway while maintaining cervical stabilization. That is, if you are familiar with the technique. Use the head-tilt & chin lift to open the airway of an unconscious patient. Then, insert an oropharyngeal airway (OPA) or a nasopharyngeal airway (NPA) if needed to keep the airway open. Take note that the oral airway is only indicated in patients who are deeply unconscious. This is because the method can stimulate the gag reflex and thus cause risk of aspiration on conscious patients. Choose the airway that is appropriate to your skill level: King Airway System™, LMA, Combitube™, and or endotracheal intubation. Give bag valve mask ventilations every six seconds or ten breaths per minute. If bag-mask ventilation is adequate, defer the insertion of an advanced airway until it becomes essential, which is only when patient fails to respond to initial CPR or until spontaneous circulation returns. Confirm correct placement of advanced airway device by observing the patient. Confirm the presence of lung sounds in at least four lung fields and by using waveform capnography. Secure the advanced airway device so that it doesn’t dislodge, especially in patients who are at risk for movement. Secure the ET tube with tape or a commercial device. Take note that you should not use devices to secure the airway device that are circumferential. Establish IV or IO access if the patient needs it. Start IV/IO fluids, if needed, using a crystalloid. 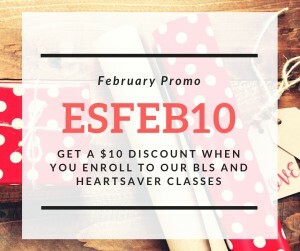 Here’s your discount code: ESFEB15 – Use it when you enroll to our BLS and Heartsaver classes. The appropriate airway does not only depend on the patient’s condition. The experience level of the provider should be considered as well. Placing an advanced airway is a significant interruption to chest compressions if the patient is in cardiac arrest. You must weigh the need for an advanced airway against the need for continued chest compressions.